Lovely, typical Andalusian very spacious villa (6/7 bedr) with private pool on unique location with breathtaking 180° views, walking distance to the sea, beach and marina view . Now with heated pool ! I was there with friends for the first time. The house was recommended by acquaintances who had also a very good experience there. The house is perfect: big rooms, good bathrooms, nice kitchen and everywhere cozy corners if you want a rest break. The vieuw is one tof the most fantastic I've ever seen. For me as a fervent cyclist, the neighboorhood is also perfect. Good roads and a lot of possibilities. I'll come back! 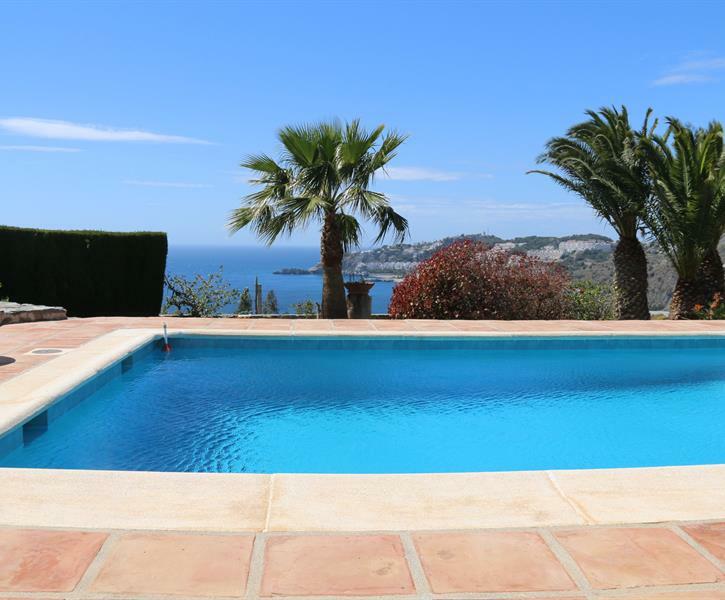 This villa is on an awnsome location on the Spanisch south coast. Very near to the town centre of Almunecar, and restaurants It's a very large villa , staying with 20 people (max.) is no problem. We were at Las Dalias for the celebration of my parents 50th wedding anniversary and we had a wonderful stay !! Three generations in one house, before we thought of it as quite a challenge. But everyone has his own space, his own privacy and all the members of our family were happy. The view is fantastic and wherever you are in the house, you can enjoy it. Everything was clean and the hostess was ever so helpful. We had a warm contact with the owner. This made us confident right from the start. Absolutely recommended ! !